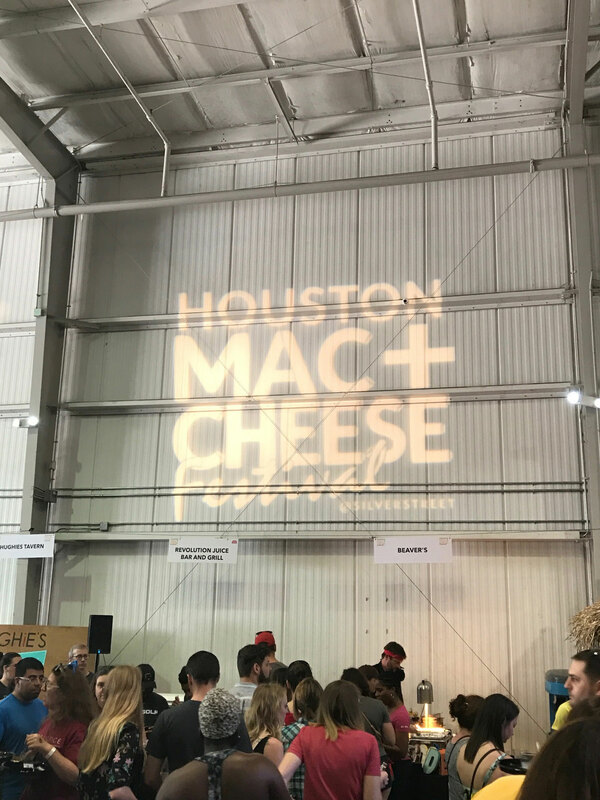 The inaugural Houston Mac + Cheese Festival kicked off Saturday, April 15th at Silver Street Studios, and Swift + Company was a part of the creamy, cheesy fun! 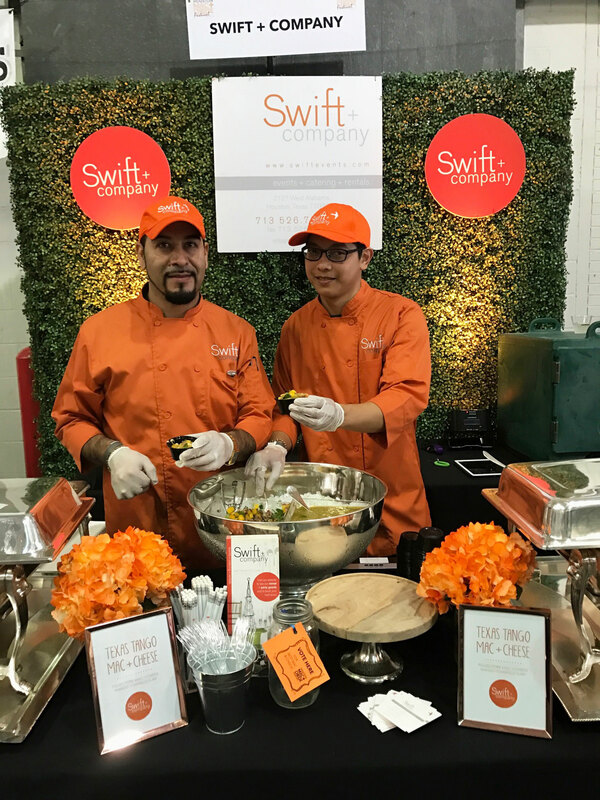 Swift + Company rolled up their sleeves, put on their orange chef coats, and went to battle! 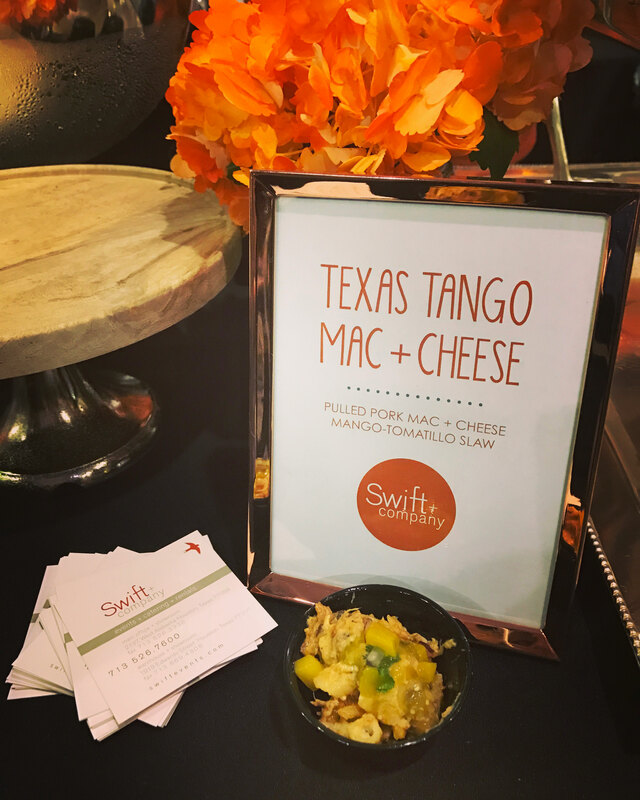 Swift + Company’s delectable and indulgent entry Texas Tango with Tomatillo + Mango Slaw garnered second prize in a field of 40 competitive restaurants and caterers. 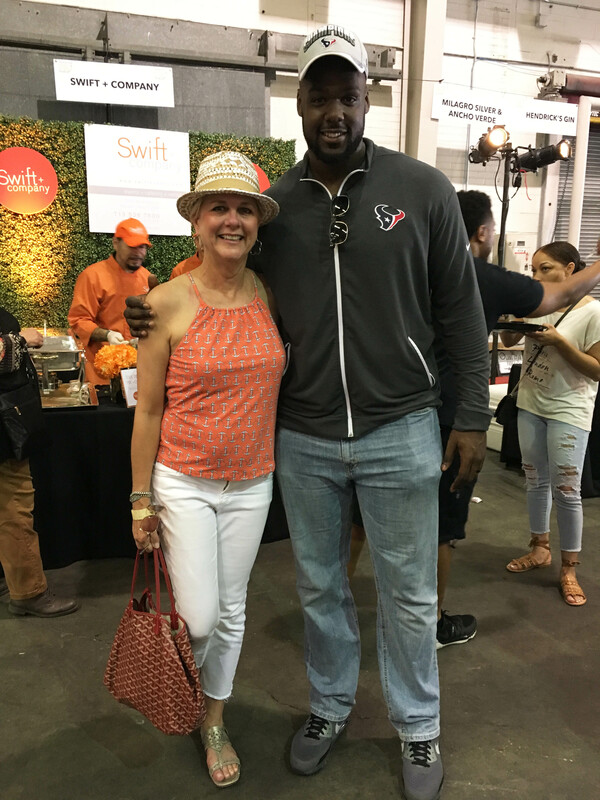 Kudos to the other winners — This Is It Soul Food took first prize with their Mac and Cheese with Oxtails, and Beaver’s Restaurant came in third place with Smoky Texas. 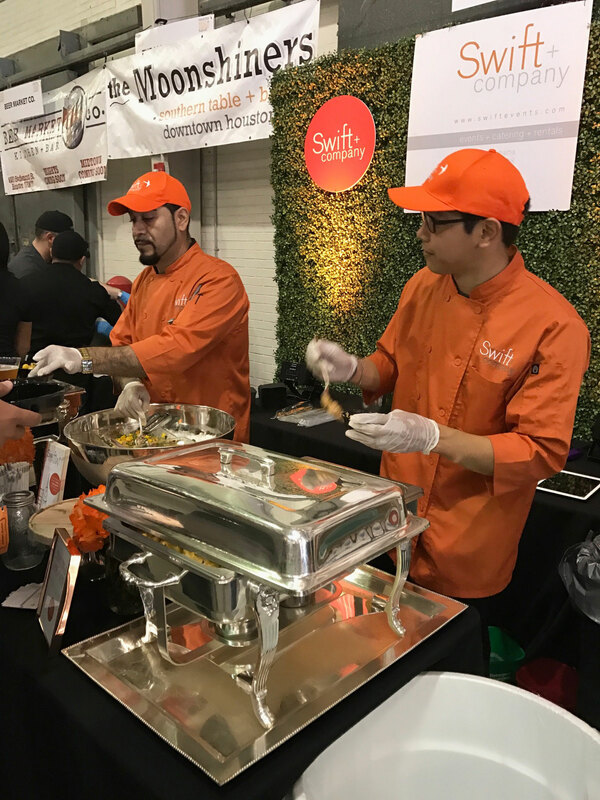 During the festival, local Houston restaurants and caterers offered unlimited samples of their best spin on the popular comfort dish, alongside a selection of breweries serving up beer to wash it all down. Mac and cheese attendees who, after eating all the cheesy mac they could handle, voted on their favorite cheesy fare. 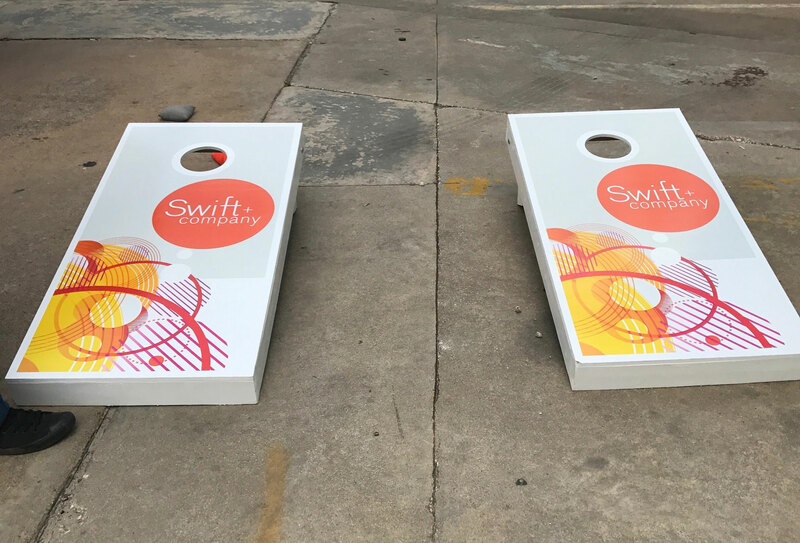 Paired with music, dancing, life size Jenga and corn hole games, this event appealed to guests of all ages. 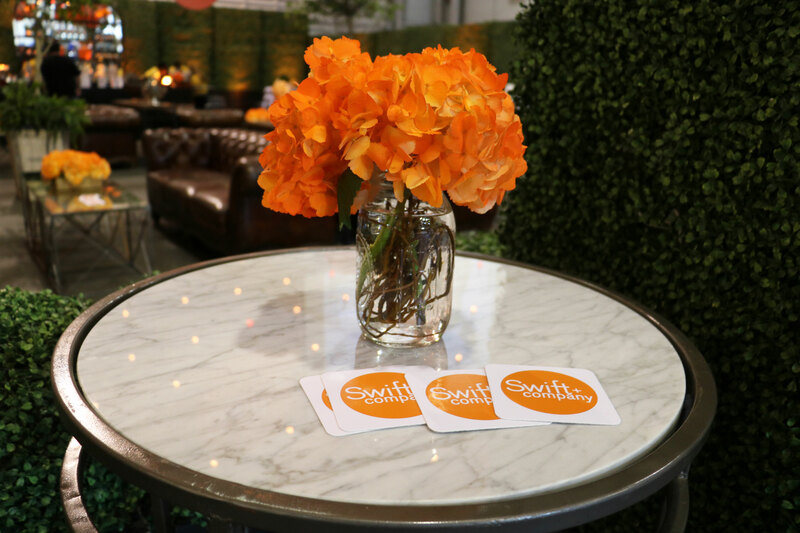 The event was sold out with 2,000 attendees. 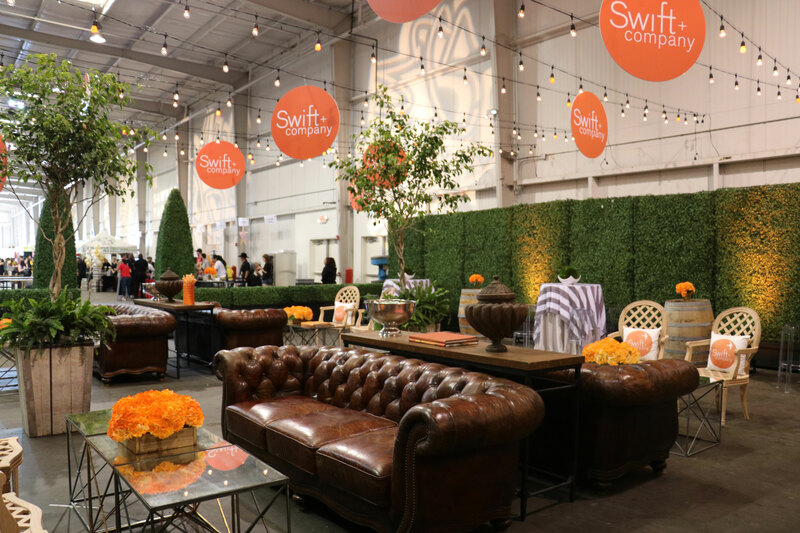 The VIP section at the festival was underwritten by Swift + Company Rentals. 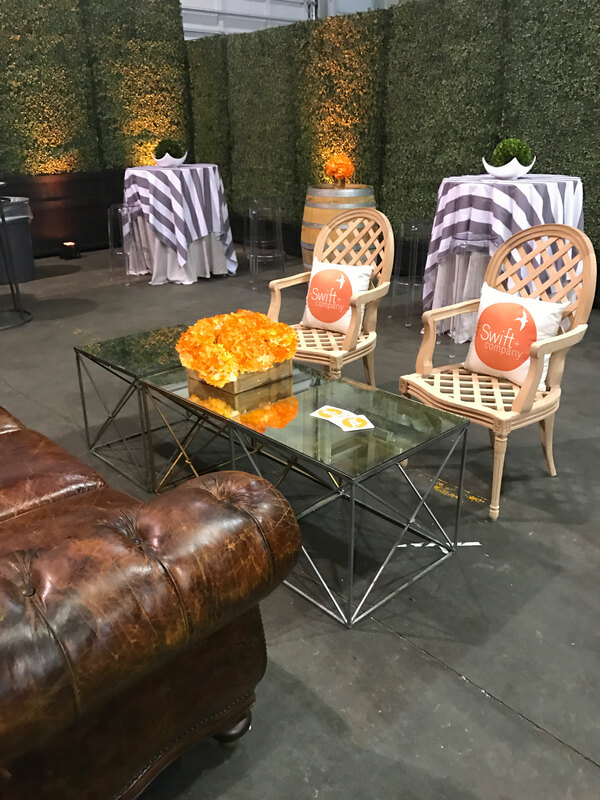 To add to the setting of the warehouse space, Swift + Company featured their Kensington Sofas, Zinc Furano Side Tables, LeCou Bars, Josephine Chairs, Break-In-Half Wine Barrels, Cambo Parquet Console Tables, and White + Grey Striped linens all surrounded by custom boxwood hedges. 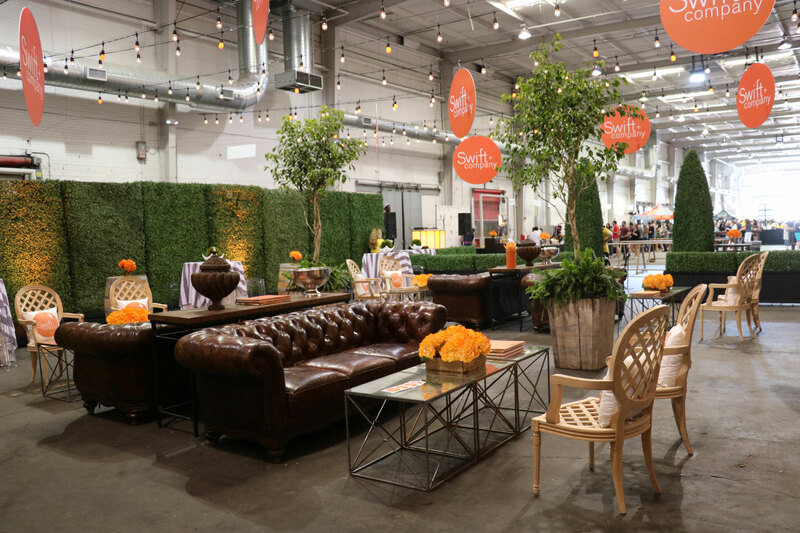 The VIP area provided style and comfort for VIP attendees to sit and enjoy all their yummy samples. 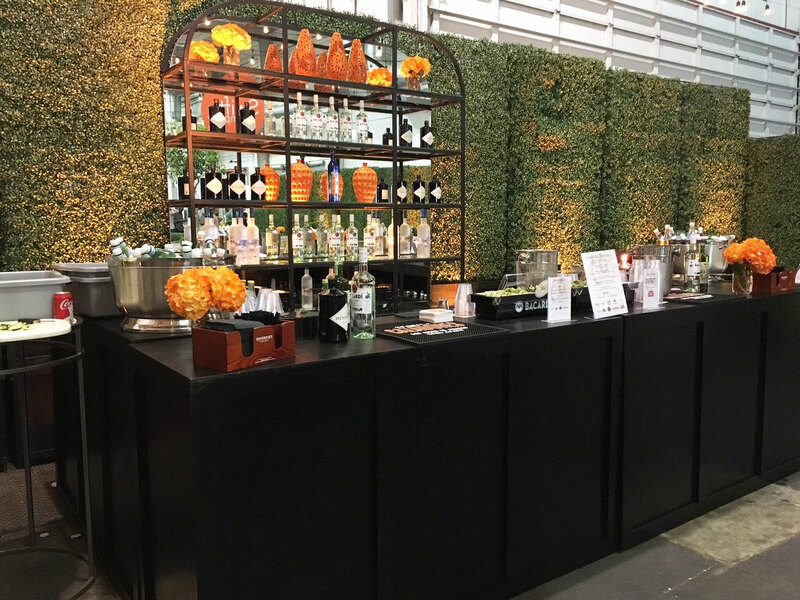 String Lights hung from the ceiling, and vessels of orange hydrangea from Swift + Company Flowers added pop to the ambience. 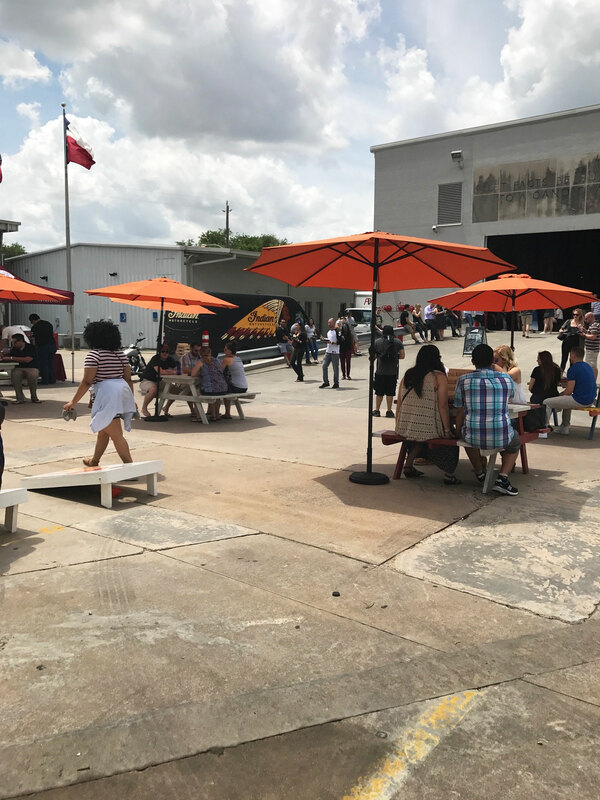 A portion of the proceeds from the event benefited the Washington Avenue Arts District, and all leftover Mac + Cheese was donated to Second Servings of Houston. 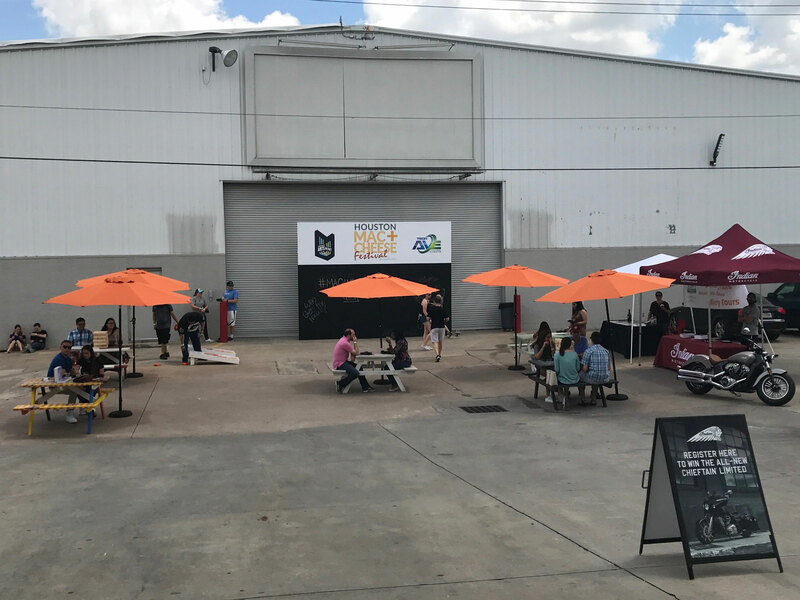 Kudos to Silver Street Studios for producing the sold-out event. 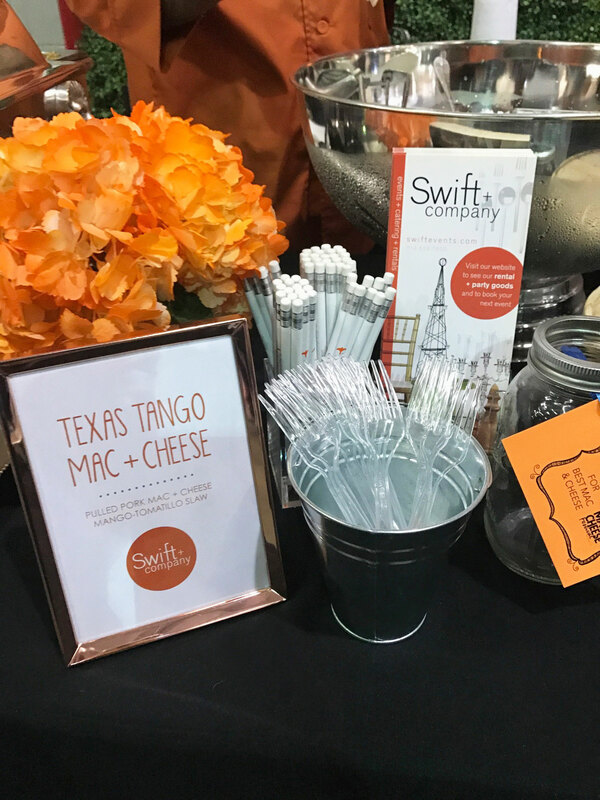 We thank all of the mac and cheese lovers for stopping by our booth and voting for our Texas Tango Mac + Cheese!